San Francisco’s ordinance that required a health warning to occupy 20% of space on advertisements for sugar-sweetened beverages violated the First Amendment, the U.S. Court Of Appeals For the Ninth Circuit ruled. 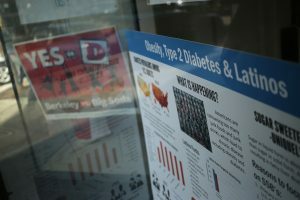 The ordinance was established in 2015, and required advertisements for sugary drinks to include a warning that occupied 20% of the ad space to read: “WARNING: Drinking beverages with added sugar(s) contributes to obesity, diabetes, and tooth decay.” A judge froze the ordinance while it was being considered by the courts. The appeals judges granted a preliminary injunction and sent the case back to a lower court.